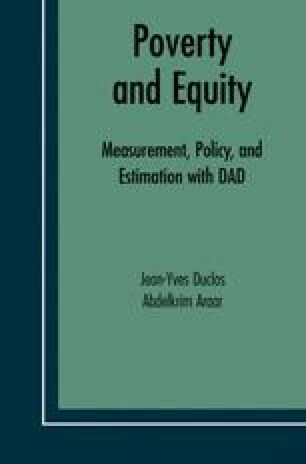 The empirical assessment of poverty and equity is customarily carried out using data on households and individuals. These data can be administrative (i.e., stored in government files and records), they can come from censuses of the entire population, or (most commonly) they can be generated by probabilistic surveys on the socio-demographic characteristics and living conditions of a population of households or individuals. We focus on this latter case in this chapter.